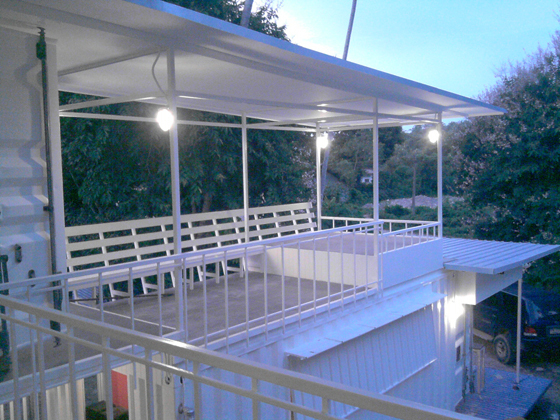 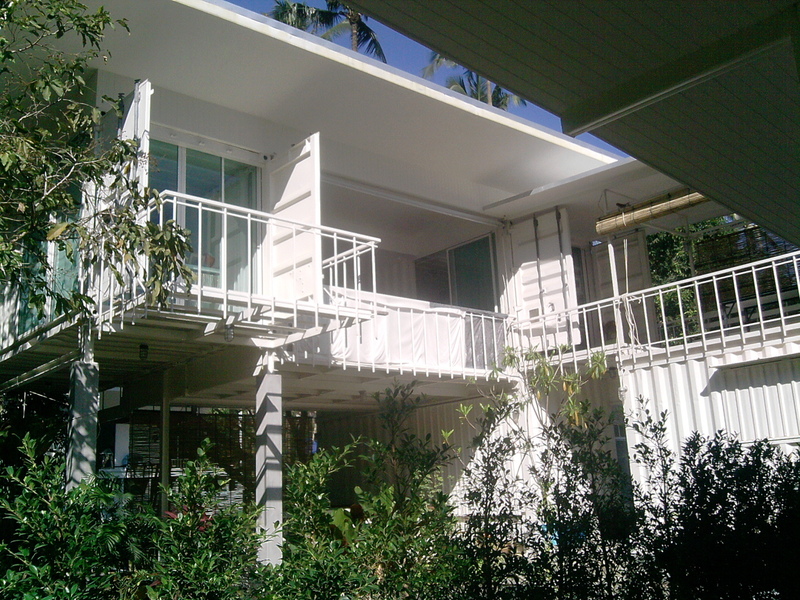 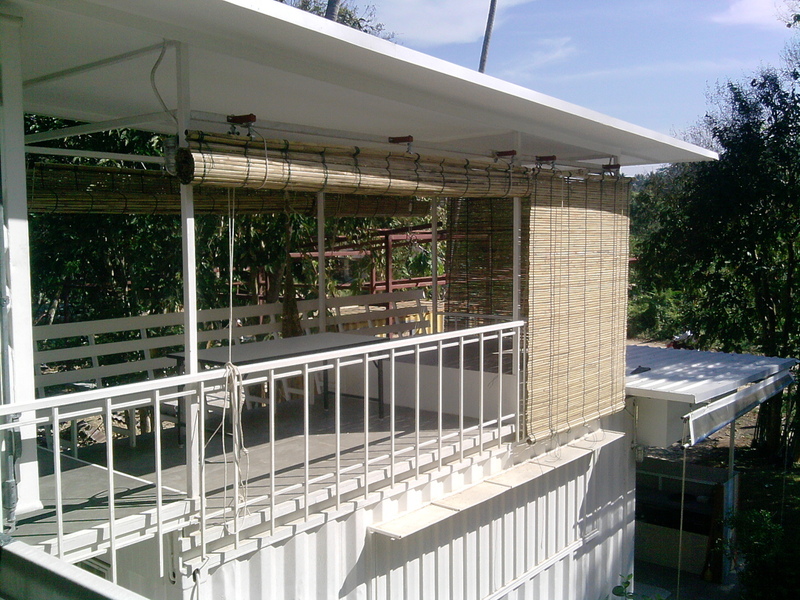 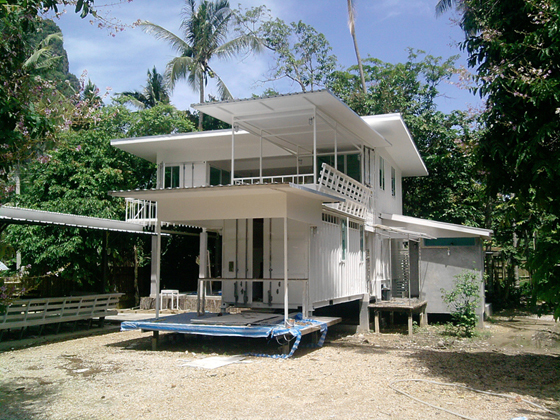 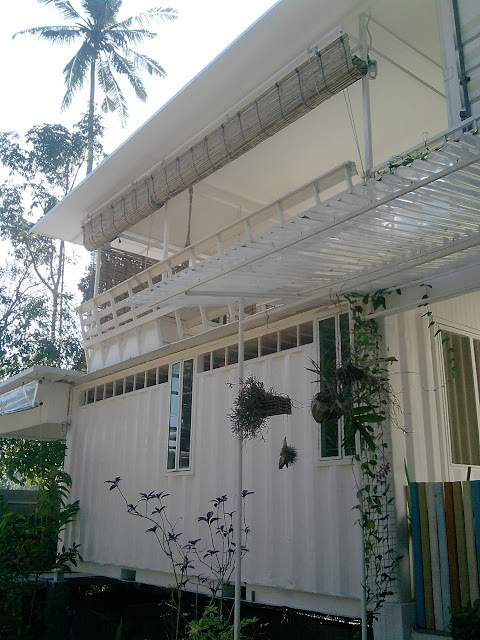 This amazing container home design was created by owner specially for hot climate of Krabi province in Thailand. 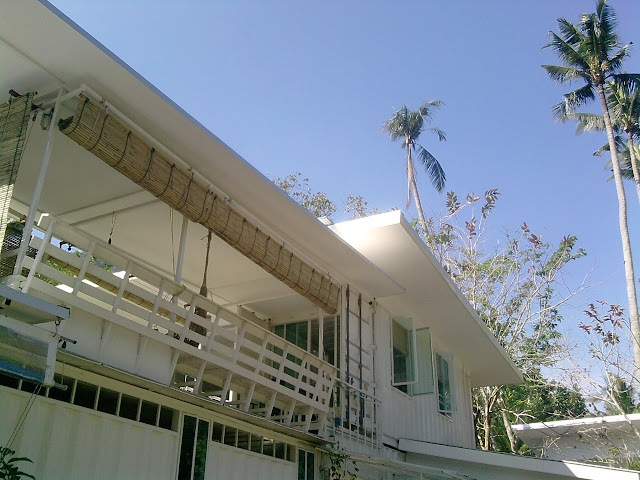 Due to proximity of the location to the equator, there is little variation in high and low temperatures in the course of the year. 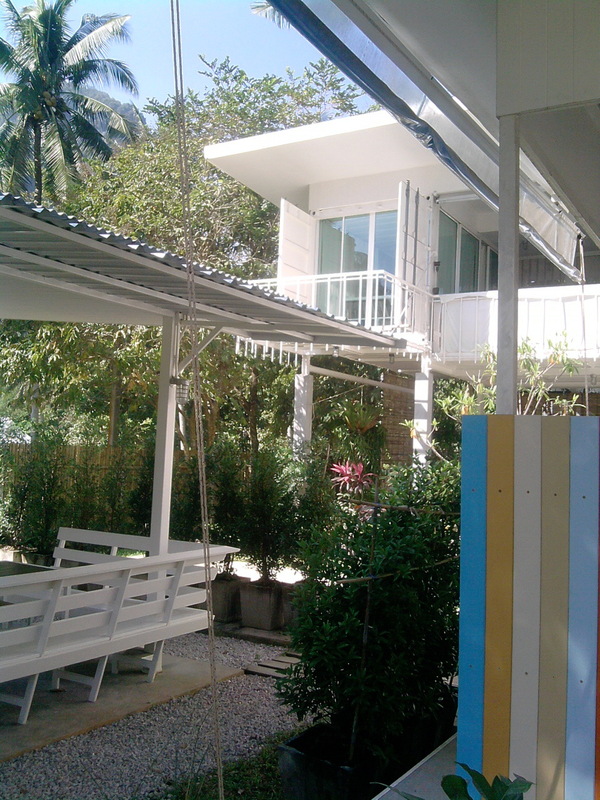 Krabi has an average annual low of 25 °C (77 °F) and an annual high of 32 °C (90 °F). 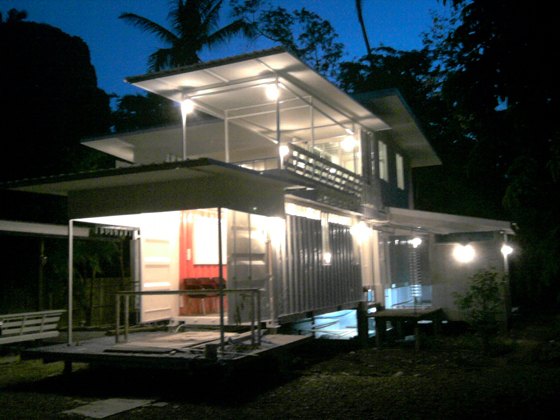 The home consists of 4 containers: 2 of them create space for kitchen, shop, and storage downstairs; other 2 containers are for living area upstairs. 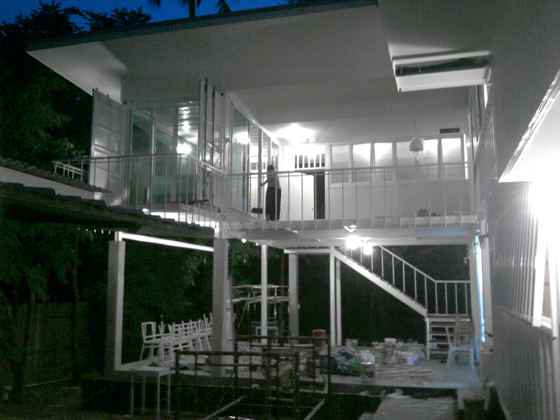 White color was chosen to maximize the reflection of sunlight and to prevent heating of the surface of the walls.